JASA provides excellence in design that appeals to architectural purists as well as market-oriented clients. We are committed to providing our clients with solutions that are emotionally functional and financially successful. Projects span the Pacific Basin from Guam to the Eastern States, with primary emphasis on the Hawaiian Islands and have been featured in The Sandwich Island Quarterly, Island Living and The North Shore. We have completed over 200 residences and over 100 commercial projects with construction budgets up to ten million dollars. We encourage you to contact us and discuss how our personal approach to design can contribute to the success of your project. 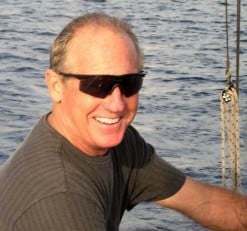 A Hawaii State Licensed Architect, Jim began his architectural education at the University of Minnesota, and completed his Bachelor of Architecture degree at the University of Hawaii. In 1974 he commenced practice in the Hawaiian Islands, focusing on innovative, cost-effective design solutions. Jim’s designs have won the Grand Prize awards for both the Hawaii Parade of Homes and the Hawaii Renaissance Competition. He is also a real estate developer and has completed two 8-unit single family projects, a 5-unit single family project, 3 single family spec homes and has a 9-unit single family project in process.